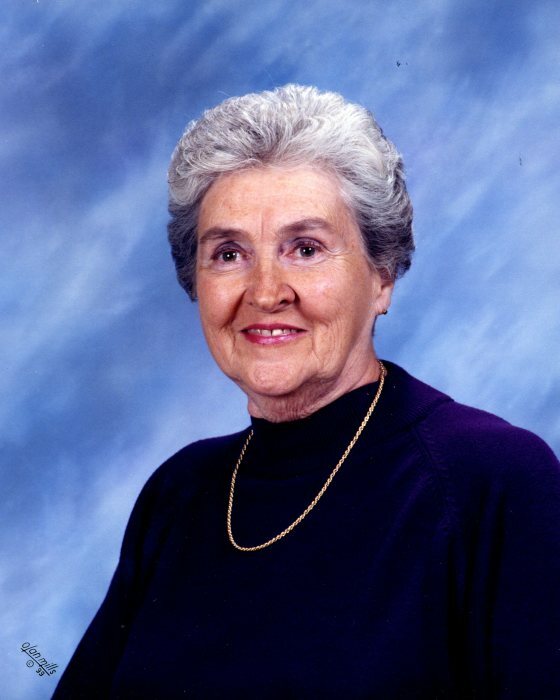 Dorothy Mae Wingler, 88, of Urbana, was surrounded by her family when she passed away at 7:38 a.m., Thursday, November 1, 2018 at Meadowbrook Health Center, Urbana. A visitation will be held from 10:00 to 11:00 a.m., Tuesday, November 6, 2018 at Renner-Wikoff Chapel & Crematory, 1900 S. Philo Rd., Urbana. Funeral services will be held at 11:00 a.m., Tuesday at Renner-Wikoff Chapel & Crematory, with Pastor Hank Sanford officiating. Burial will be held at Locust Grove Cemetery in Philo. Memorial contributions may be made to the Alzheimer’s Association at www.alz.org. Condolences may be offered online at www.renner-wikoffchapel.com. Survivors include their daughters: Lynda Wingler, of Urbana, Connie Wingler, of Champaign, and Judy Roney (John), of Bellbrook, Ohio. Also surviving are six grandchildren: Jennifer Wingler, Adrienne Wingler, Will Lewis (Heather), Bryan Lewis, Danielle Roach (Wayne), and Phillip Roney (Allie). Eight precious great-grandchildren and a nephew, Ralph Clark (Martha) also survive. Dorothy was preceded in death by her husband, Raymond “Paul” Wingler, parents (Harry Elden and Charlotte Henrietta [Ersig] McHenry) and sister, Helen McHenry-Clark. Dorothy Mae’s life began on June 27, 1930 in her parents’ home in Urbana, Illinois. She spent her childhood on farms at Deer’s Station and Philo Road in Urbana. Dorothy loved being a farm girl. She helped in the fields and with cooking and canning. She had an enormous love of animals; especially Patsy, her goat, and Polly, her horse. Dorothy married her high school sweetheart, Raymond “Paul” Wingler, one week after her 18th birthday. Two years later, they began a family of three daughters. Together, they built the house they lived in for 44 years in the middle of her father’s cornfield. They also built a cabin on Mattoon Lake. As a mother, Dorothy was very involved with her daughters as a leader in 4-H, Brownies, Girl Scouts, and Sunday School. Dorothy was also an auxiliary member at Champaign County Nursing Home, Carle Hospital, the Urbana Lions Club, and AMBUCS. She volunteered at Yankee Ridge School Library and was a member of both Mayview Women’s Society of Christian Service and Grace United Methodist Church in Urbana. Dorothy also enjoyed being an election judge and worked for the Champaign County Clerk’s office. When she wasn’t busy, she enjoyed live music and entertainment of the Oakridge Boys and Alan Jackson. Dorothy left us with many beautiful and heartwarming memories; from her glowing smile to her never-ending involvement with her family. She loved the poem “Footprints,” and that’s what she has left with us. She will always be here with us, carrying her family with her love.